A story in the San Francisco Chronicle Sunday indicated Oakland mayor Libby Schaaf was not invited by the NFL to an important meeting this week to update the league on plans to build the Raiders a new Bay Area stadium. It raised questions why NFL vice president Eric Grubman would make a trip all the way to Oakland from New York to get the lowdown on the latest stadium development, only for the NFL to cut off the very important voice of the acting mayor from the proceedings. Considering the Raiders and San Diego Chargers have teamed to build a stadium in Carson as a back up if things don’t work out in their current cities – and time is running out on San Diego and Oakland to offer viable stadium plans to keep their teams local – it all seemed so conspicuous. Before reading anything more into it, though, it’s important to understand it was not the NFL’s decision or wish to keep Mayor Schaaf off the guest list. In fact, the league’s reaction to her absence was a mixture of surprise and displeasure according to sources close to the situation. So, who’s decision was it? Two sources confirmed to me Floyd Kephart, the developer behind the Coliseum City project in which a Raiders stadium would emerge as part of a grand real estate development on the site of their current home, was in charge of compiling the attendee list on the development and political side. It consisted of Alameda County Supervisor Scott Haggerty, Oakland City Council President Lynette Gibson McElhaney and Kephart. Raiders owner Mark Davis and team President Marc Badain were there for the Raiders and Grubman attended on behalf of the NFL. Kephart told me via text today Schaaf’s absence was planned, but when I asked in a follow-up text Sunday why the mayor wouldn’t be there when it’s abundantly clear her presence was important to the NFL, he did not respond. respective staffs before addressing the issues related to the Raiders. Nevertheless, the sense I get is the NFL wasn’t happy with how it all went down, and there are growing concerns with Oakland and Alameda’s decision to put all their eggs in the Kephart basket despite little evidence he is capable of pulling off such an ambitious plan. As it is, the NFL typically has issues when cities make deals with outside developers to spearhead stadium projects, worrying the developers needs and desires sometimes contradict and cut into the team and NFL objectives. Let alone a developer who doesn’t have a major development deal on his resume and has been conspicuously guarded with where his money is coming from. Throw in the fact Kephart didn’t ask Mayor Schaaf to attend, or a combination of Kephart and Schaaf felt it was in her or their best interests she not be there, and the NFL left Oakland with more questions than answers. And it leaves the Raiders wondering just how much longer they’ll call Oakland home. This entry was posted in Uncategorized by Vincent Bonsignore. Bookmark the permalink. It’s not rocket science, that she wasn’t invited to the meeting, given that she’s already indicated she doesn’t want to help keep the Raiders in Oakland. By locking out city public funding on the deal, she’s proven to be more of a hindering factor than a solution. If the developers, the NFL and the team get this done, kudos. If it fails, it’s on her watch. 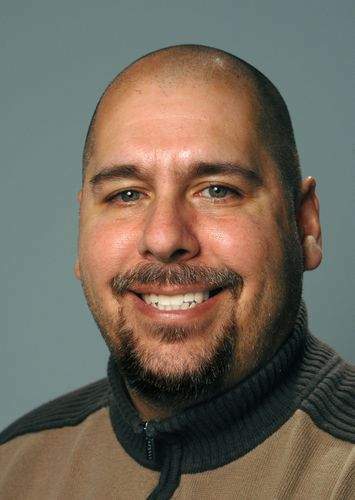 Los Angeles News Group sportswriter Vincent Bonsignore writes a regular column that appears on nine newspaper web sites. He follows the machinations of the NFL and its potential return to Los Angeles in this blog. Peter Wolf on St. Louis, San Diego, Oakland get their say to NFL; but will it be last before relocation window? Miss Militia on St. Louis, San Diego, Oakland get their say to NFL; but will it be last before relocation window?